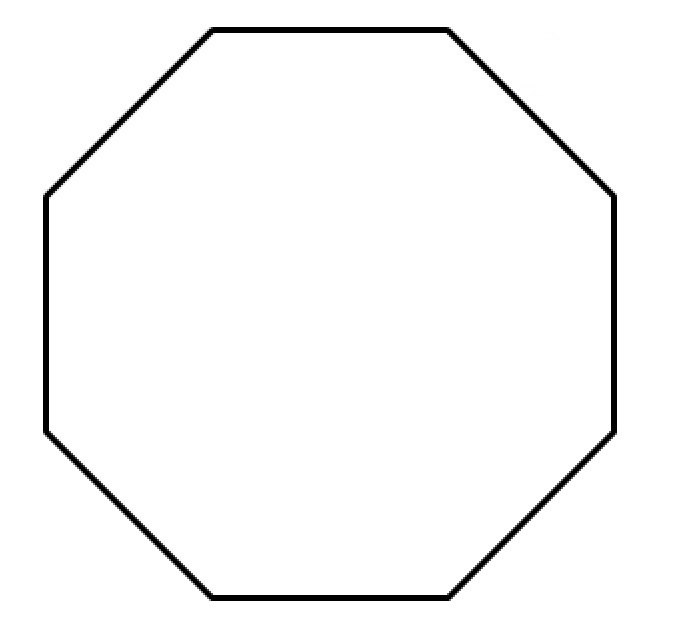 A polygon with eight sides is called an octagon. Refer to the above figure. Which of the following is not a valid alternative name for Polygon ? In naming a polygon, the vertices must be written in the order in which they are positioned, going either clockwise or counterclockwise. Of the four choices, only Polygon violates this convention, since and are not adjacent vertices (nor are and ). Refer to the above figure. All angles shown are right angles. 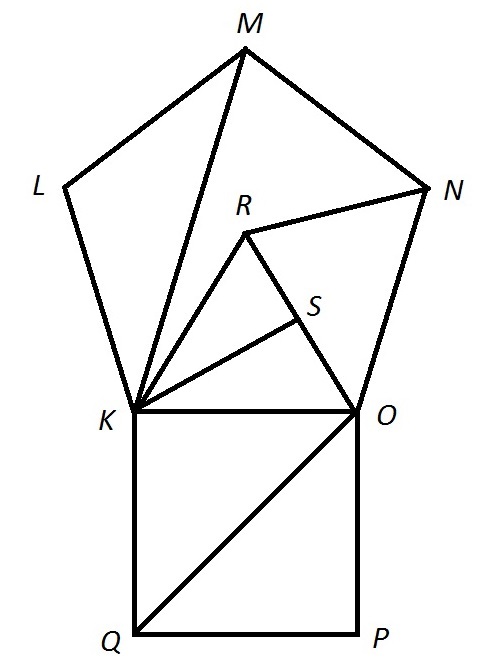 Which of the following segments is a diagonal of Pentagon ? 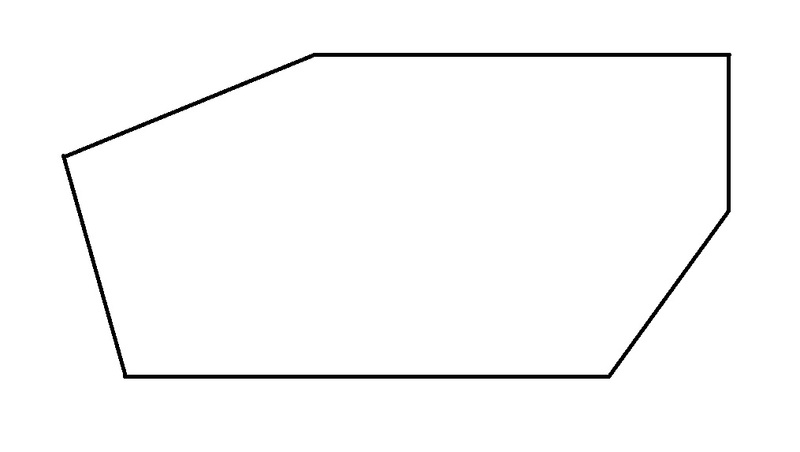 A diagonal of a polygon is a segment whose endpoints are nonconsecutive vertices of the polygon. Of the four choices, only fits this description. 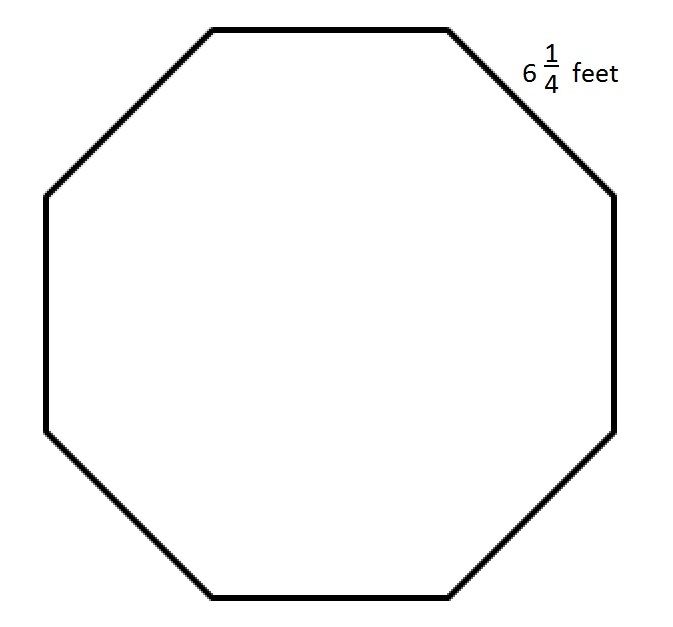 A polygon with six sides is called a hexagon. Hexagon is regular. 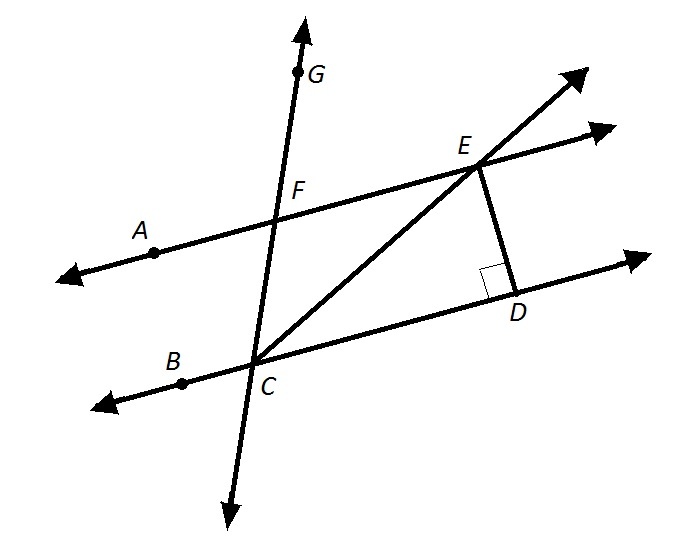 If diagonals and are constructed, which of the following classifications applies to Quadrilateral ? The figure described is below. Since the hexagon is regular, its sides are congruent, and its angles each have measure . Also, each of the triangles are isosceles, and their acute angles measure each. This means that each of the four angles of Quadrilateral measures , so Quadrilateral is a rectangle. However, not all sides are congruent, so it is not a rhombus. Also, since it is a rectangle, it cannot be a trapezoid. The correct response is I only. 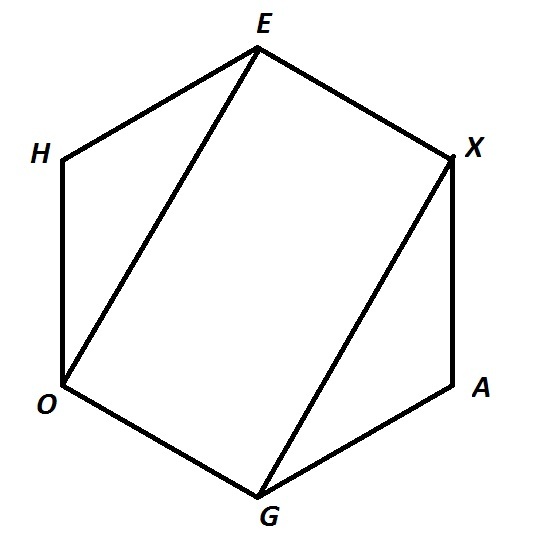 The above figure is a regular octagon. Give its perimeter in yards. What is the perimeter of a semicircle with an area of ? Write the formula for the area of a semicircle. Multiply by 2, and divide by pi on both sides. Square root both sides and factor the right side. The circumference is half the circumference of a full circle. The perimeter is the sum of the diameter and the half circumference. 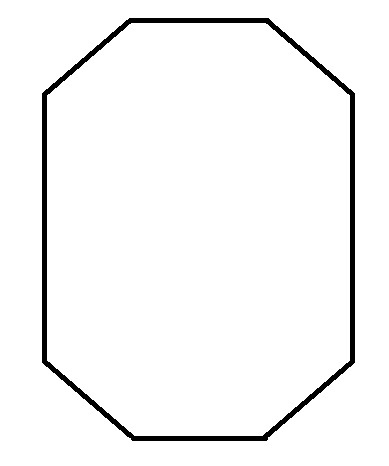 A hexagon has a perimeter of 90in. 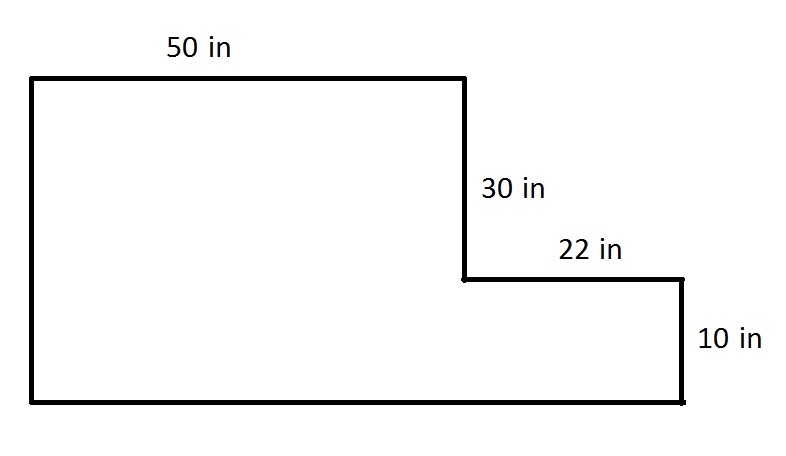 Find the length of one side. 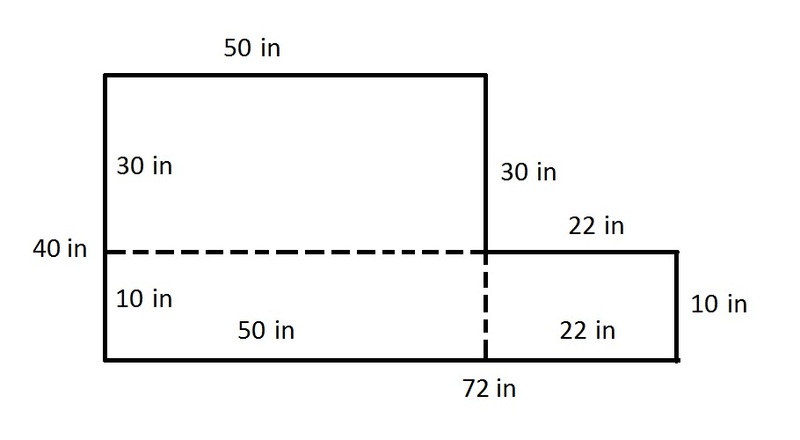 where a is the length of any side. Now, to find the length of one side, we will solve for a. Therefore, the length of one side of the hexagon is 15in.